DKC Taylor Swift was adopted at our GAGC Family picnic! Rodney and Bonnie had recently lost their sweet female Scheme. Laura knew her mom was ready for another greyhound and convinced them to come to the picnic. Bonnie immediately connected with Taylor and took her home. 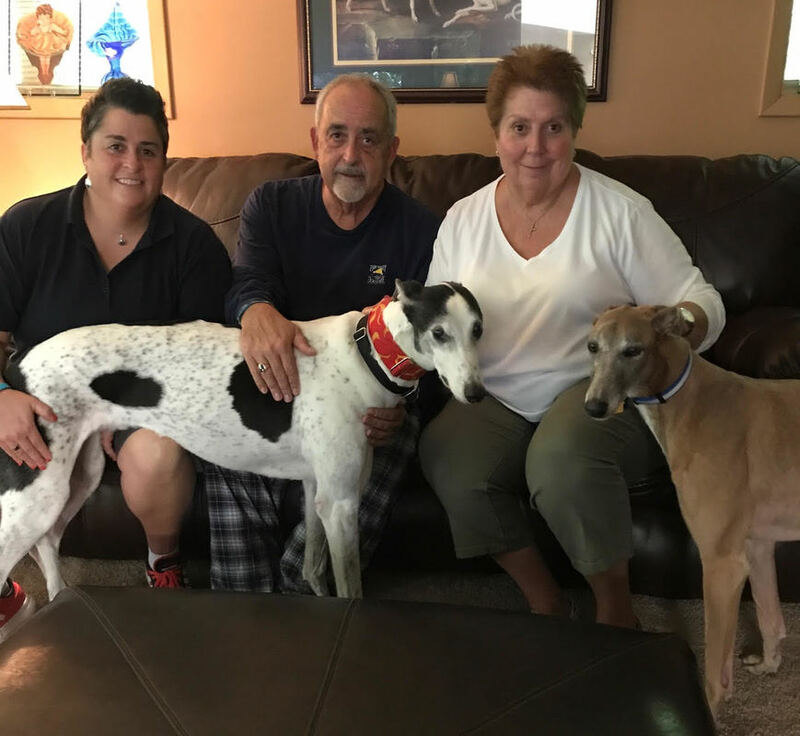 Rodney was thrilled to have another greyhound in their home. Laura has GH Kelly who will help Taylor learn their routine. AND turns out Taylor has the same grandpa as Scheme did! Taylor is going to be VERY happy in her new life in Cincinnati, with this family.